In late November, which is now, Nintendo was supposed to release a big 3DS update. It won't. 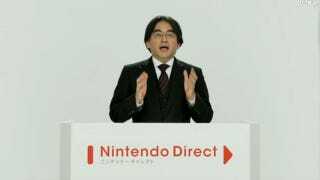 Today, Nintendo announced that the 3DS's big November update won't be released in November. Instead, it will hit by Dec. 8, making this a big December update. What's more, the 3DS is getting stop-motion photography, making it possible for 3DS owners to make their own stop-motion masterpieces.